Conference registration includes all conference presentations, performances, parties, five meals and intra-conference transportation. 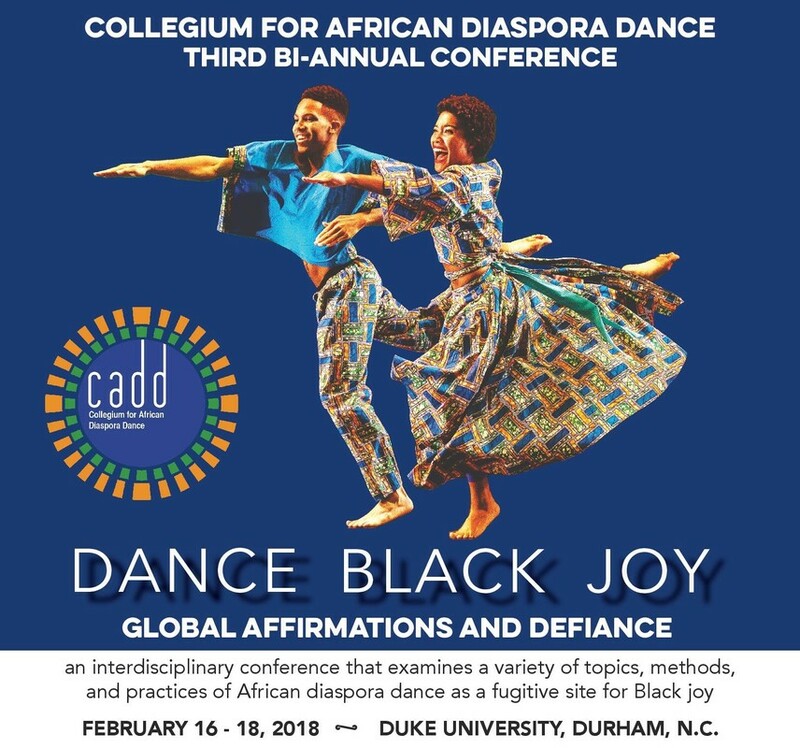 The Collegium for African Diaspora Dance (CADD) third conference aims to carry forward enlivening discussions on the power and politics of global Black Dance by bringing together scholars, practitioners, educators, and other stakeholders for three days of intellectual and artistic inspiration. DANCE BLACK JOY: Global Affirmations and Defiance seeks to center African diaspora dance as a resource and method of aesthetic possibility. Anchored by critical dialogue and provocative research presentations, the conference will feature breakout sessions, movement workshops, film screenings, and a performance of CANE: a responsive environment dancework, conceived by Thomas F. DeFrantz and SLIPPAGE: Performance|Culture|Technology in collaboration with Wideman/Davis Dance. The conference commences with an opening invocation and plenary at 1pm on Friday February 16 and concludes on Sunday February 18 with lunch. CADD deems it appropriate to acknowledge contribution of the late Chuck Davis. Davis was a central presence at previous conferences and we along with dance communities all over world deeply feel Davis’ absence. 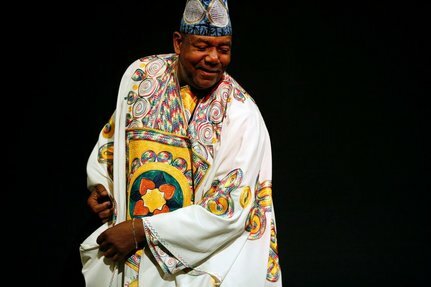 To create energy around Davis’ mission to preserve, perpetuate, and extend African Diasporan dance traditions, our 2018 conference will devote intentional focus to his legacy through an extended processional and panel discussion offering an opportunity for artists who were close to Chuck Davis’ work to talk about his vision and openly strategize about ways to keep his work alive in concert performance, the academy, and community development. 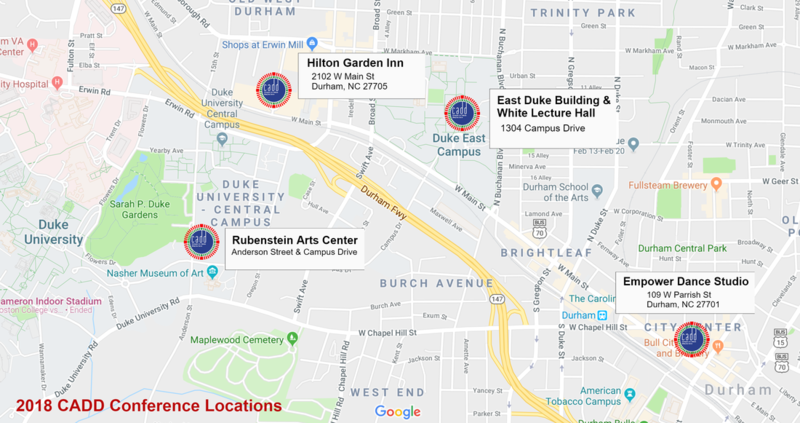 The conference will be primarily held in Duke's new Rubenstein Arts Center ("The Ruby") as well as the East Duke Building and Hull Avenue dance studios. ​Any transportation for participants to and from conference sites (including host hotel) is arranged by the Conference. The official conference hotel is the HILTON GARDEN INN DURHAM /UNIVERSITY MEDICAL CENTER. The hotel is sold out. 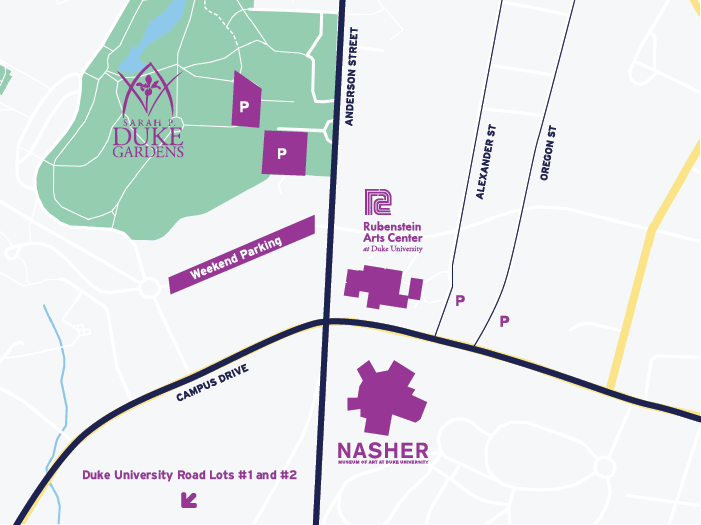 Other options include the Hilton Durham near Duke University and The Marriott Residence Inn McPherson. We do not have official agreements with these hotels, and both have shuttle service within a radius that encompasses conference locations. AIR TRAVEL: The closest major airport is Raleigh-Durham International Airport.